ARCHIVED Life in the 24 neighborhoods of Akron! New juried photo exhibition, “24,” free panel discussion with photographers this week! You are here: Home / ARCHIVED Life in the 24 neighborhoods of Akron! New juried photo exhibition, “24,” free panel discussion with photographers this week! Reserve your seat here: bit.ly/2Hh6Pr0. 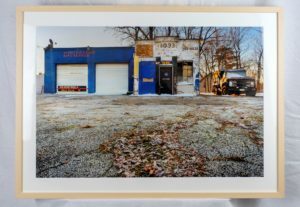 To honor and celebrate Akron’s neighborhoods, Summit Artspace has created a new photography exhibit highlighting the city’s two dozen locales for a show simply titled 24 that opens April 13. The exhibit, which runs until May 12, and its events are free and open to the public. Summit Artspace on East Market is located at 140 E. Market St., Akron. Shane Wynn, a local award-winning photojournalist and fine art photographer who lives in Akron, is the exhibition juror. 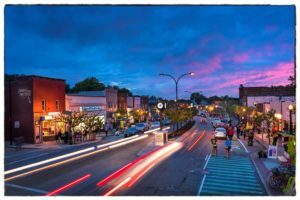 As visitors move from photo to photo, a composite picture of Akron will emerge that captures what is unique about its neighborhoods, each area with its residents, businesses and history, photographed by people who know it from the ground up. 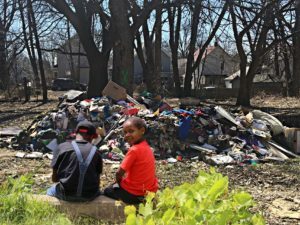 “Exhibit photographs may reflect what makes the neighborhood distinctive or what life is like as a resident of that area. 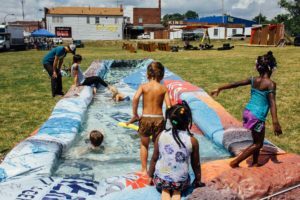 They will be intimate messages from the artist capturing the passion, pride, hope or despair of a place bounded by city streets or bisected by highways,” said Kamelia Fisher, Summit Artspace executive director. 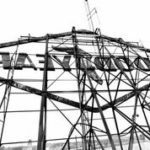 Gallery visitors will also be able to view a select collection of Wynn’s photographs, entitled 24 Years of Photographing Akron, during the exhibition in the side gallery off the main show. Wynn will lead a panel discussion with photographers and artists on Thursday, May 10, at 7 p.m. in the main gallery. Reserve your seat at: http://bit.ly/2Hh6Pr0. Wynn specializes in portraiture and visual storytelling. She has been photographing Akron for 24 years and is currently developing a photographic series that reflects her belief in equal rights and opportunity by turning her lens toward marginalized segments of Akron’s population. She regularly contributes to ten local publications including Akronlife, The Devil Strip, Edible Cleveland, cleveland.com, Crain’s Business and the Akron Art Museum’s VIEW Magazine. She was graduated from the University of Akron with a BFA in 1999 and started her small business, Shane Wynn Studio. Shane won first prize for portraiture from the Cleveland Press Club in 2017. 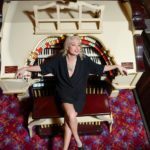 Wynn has twice been selected as a winner of the Knight Arts Challenge. Her completed 2015 series for Knight was featured nationwide on the home page of aol.com. In 2017 her photography for the Akron Art Museum’s Mark Mothersbaugh installation was featured in Rolling Stone Magazine. In 2016 Wynn won the juried award and second place 2D award for her photography in the Akron Art Prize. She has also been recognized with several local ADDY awards. In collaboration with Downtown Akron Partnership, she created akronstock.com, a site featuring hundreds of free stock images available to anyone for use in promoting the city. Summit Artspace’s main gallery is open Thursdays and Fridays, noon to 7 p.m.; and Saturdays, noon to 5 p.m. Additional hours are 5-9 p.m. April 19 for 3rd THURSDAY, which has a new time at Summit Artspace, 4-7 p.m., and May 5 Artwalk, 5-9 p.m. Parking is available behind the Summit Artspace building when visiting the gallery. Summit Artspace is handicap accessible and has an elevator. Summit Artspace is a non-profit community art center organization that provides studio, exhibit and programming spaces in Summit County and the surrounding area for local artists and arts organizations; and is a center for art education open to all residents. Contact Summit Artspace at 330-376-8480. On the Web at www.summitartspace.org. Find us on Facebook, on Twitter @AkronAreaArts, Instagram and Snapchat.